When she’s not traveling the world or cooking something up in her kitchen, Sonja Metzger spends her days at Criteo’s Munich office keeping a close eye on our clients’ campaign data. Sonja is the Team Lead for travel and classifieds on the local analytics (AX) team and routinely extracts valuable insights from big data. Her and her team’s recommendations help Criteo clients optimize their campaign performance based on their specific objectives. 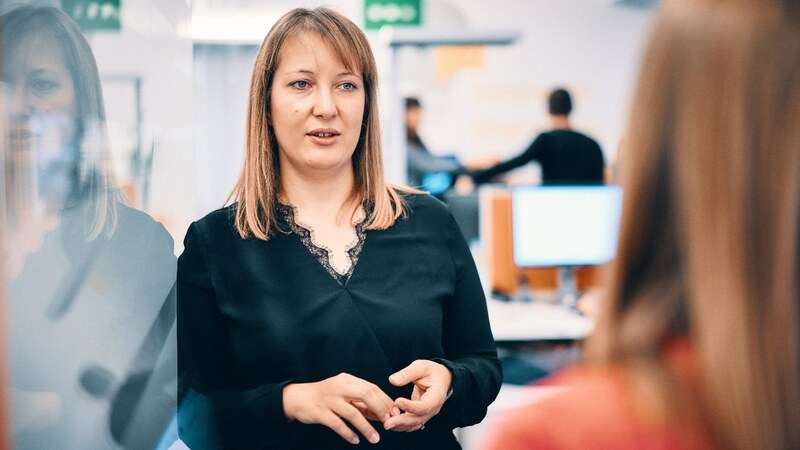 This week, we’re sitting down with Sonja to talk about her career, her time at Criteo, and her advice for women in tech. Let’s start from the beginning. Where are you from and how did you get to Criteo? I’m from a small town in the north of Bavaria called Ansbach. I went to Ludwig Maximilian University of Munich and earned my master’s degree in statistics. I found my way to print and later online marketing at Otto in the Business Intelligence department. This is when I had my first meeting with Criteo as a client at DMEXCO. After four years living and working in Hamburg, I decided to go back to Munich. There, I worked as a senior analyst in loyalty program analytics at Payback before joining Criteo. How has your role changed since joining Criteo? I see my role as the intersection between our algorithms and our commercial teams. I started at Criteo three years ago doing analytics for travel and classifieds accounts. Now I lead the AX team for these verticals. What other new opportunities have you had at Criteo? I’ve had the chance to work on side projects and be in totally different roles, like project management, tool development, or supporting our product team. For example, I was part of a team that worked on a project called TVex. We created a case study that demonstrated how TV advertising and retargeting work together. Then we brainstormed with colleagues from our technical and commercial departments and created the first campaign setup. We presented the TVex project at a Criteo myidea event and we won, which means we earned more resources for product development and hopefully to make TVex an official Criteo product. What sets Criteo apart as an employer? There’s a lot of collaboration between different teams—that’s what gave me the chance to work on the TVex project. We also have an awesome workplace experience team that organizes events and makes every workday even better. Do you have any advice for people looking to build a similar career? After getting my degree, I looked for roles in different fields, like insurance or health. But I love shopping and traveling, and at Criteo, I can combine that with algorithms, analytics, and programming to find out how users behave in their online journey. I enjoy it. So my advice is to find something you really enjoy. Analytics and data science developed fast in the last few years, but with a good basic understanding of programming and statistics, you can quickly learn most new developments. The ability to break down complex analysis and find efficient ways to solve problems is key. What advice do you have for women working in tech? Know and believe in your strengths and skills! Like many women starting their career, I tended to underestimate my knowledge in the beginning and had to learn to pitch my work and ideas without understating them. My other advice is to build a network. I was lucky to meet supportive women at every step of my career. I have a great group of five woman from university. We’ve supported each other starting from when we learned together at university, to today when we discuss our challenges in business or the best statistical method for our data. I also have a friend from my time in Hamburg and we still call each other to discuss our next move or opportunities for career development. And there are many supportive women at Criteo, like Irina, who I work closely with on the TVex project. Looking to build a similar career? Sonja is currently hiring a Senior Data Analyst to support her team in Munich. Click here to see the full job description and apply.